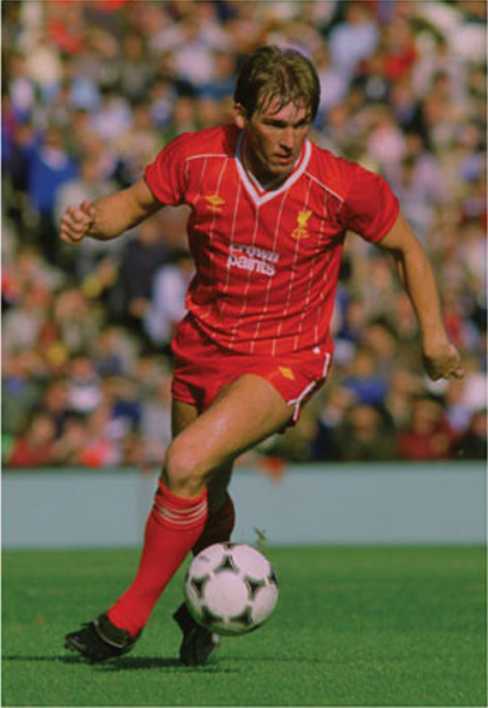 Featured Kenny Dalglish wearing a home pinstriped shirt with two-lined small fonts Crown Paints sponsor. During the 1983-1984 season, the F.A. 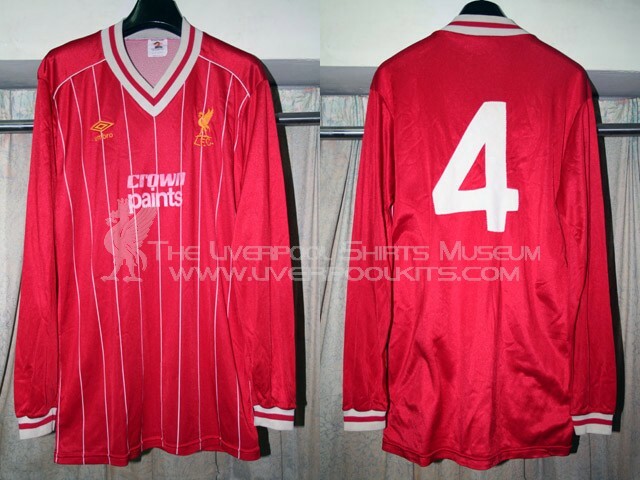 somehow relented to club pressure when it was decided that clubs could display sponsors logos on the front of their shirts in certain televised games as well as English competitions. However, the size of the sponsors logo could not be more than 7cm in height. 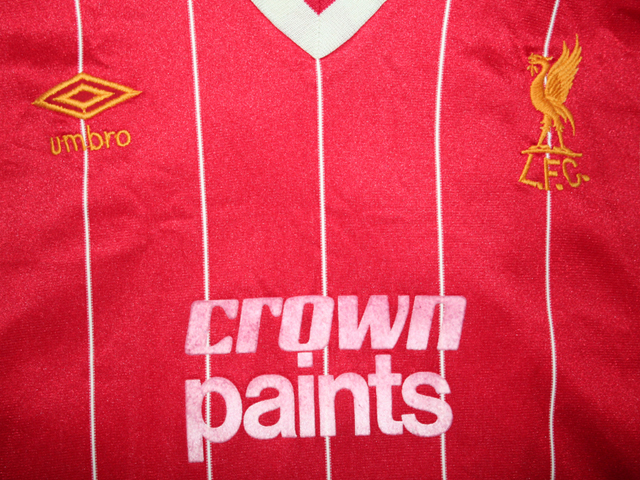 This presented a problem to Liverpool whose sponsors logo seen on the "big font Crown Paints" shirt was around 10cm. 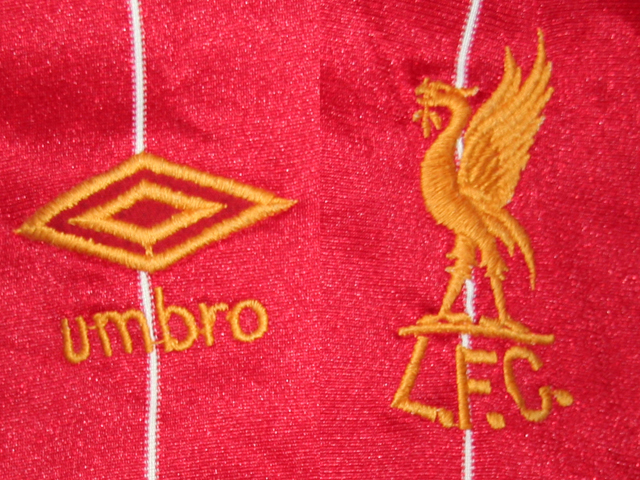 To overcome this obstacle, Liverpool decided to order a new stock of shirts from Umbro with a new smaller Crown Paints logo. 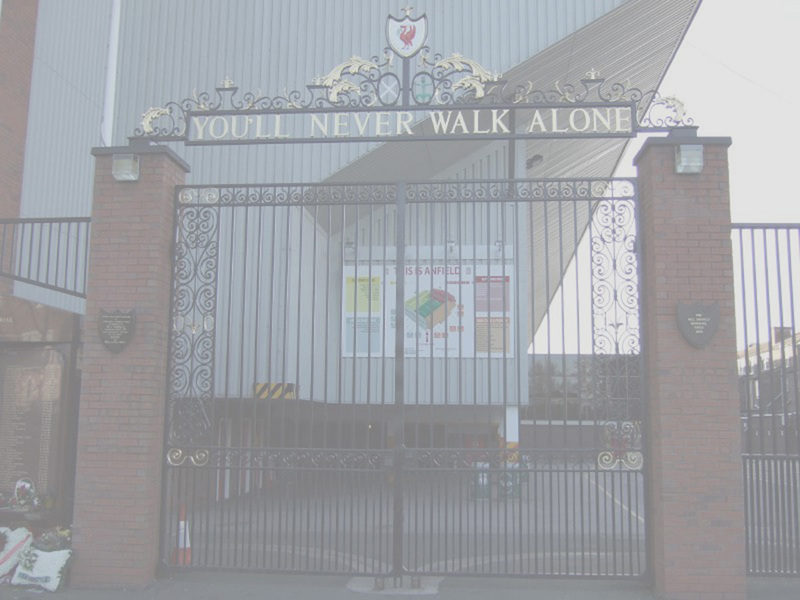 This is seen in above and as can be seen is quite a bit smaller than the original logo. 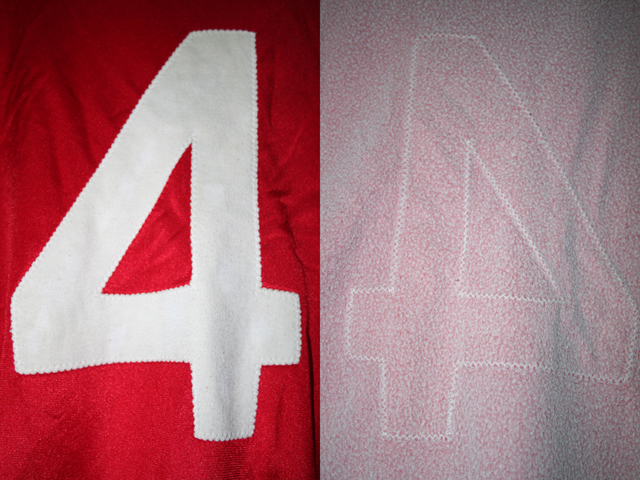 Player's number on backside is a piece of machine-stitched cloth.